Julie Dunn is an accomplished artist and art educator. She presents an unusual and refreshing style of painting known as Tempera Batik painting on paper. Her unique work is characterized by vibrant color and an appealing textural surface, beautifully combined with compelling imagery. 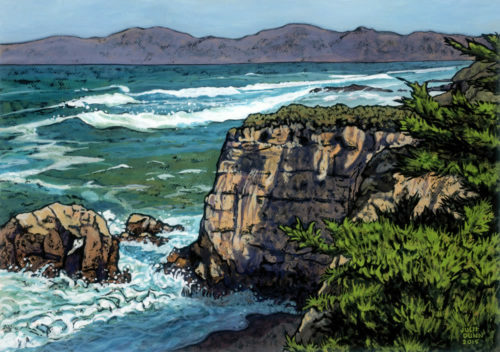 Admirers of her paintings find them reminiscent of traditional fabric batiks, silk painting, woodblock prints, and even stained glass. Her subjects include Central Coast and desert landscapes, endangered and exotic species, and incredibly beautiful flowers. 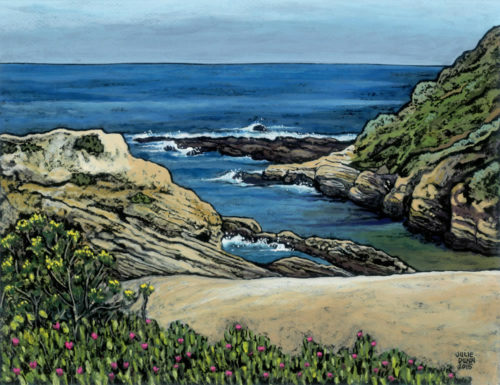 With a BA degree in drawing and painting, and a teaching credential in Art Education, Julie’s art career has spanned over 35 years. She now enjoys painting, exhibiting, and sharing her specialized technique with others, offering demonstrations and hands-on workshops. 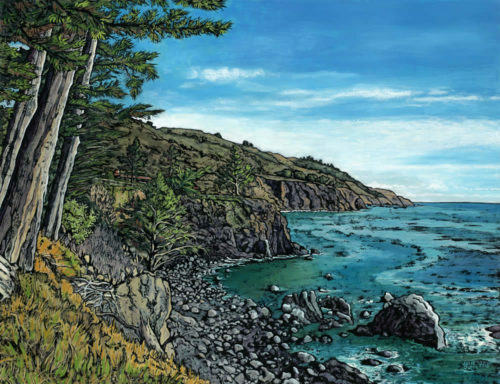 Julie also participates in local and regional art festivals and juried exhibitions, where she has won several awards for her paintings. 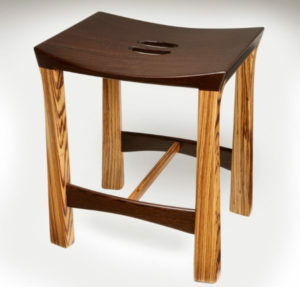 Roger Combs is an original designer and accomplished woodworker. 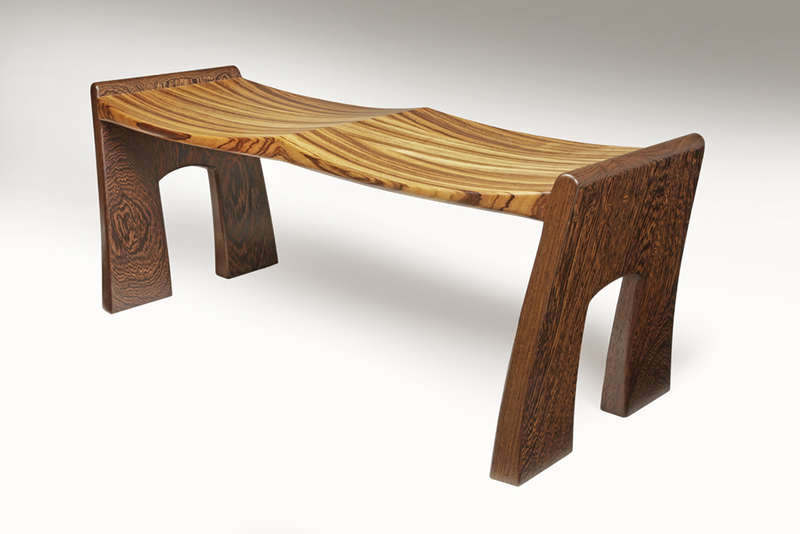 He crafts limited production and one-of-a-kind pieces in select domestic and exotic hardwoods. Best defined as a combination of an Asian style with the elegant simplicity of Danish design, the aesthetic beauty of each piece will enhance a variety of home and office environments. A native of Central California, Roger graduated in 1982 from Cal Poly in San Luis Obispo with a BA degree in Industrial Arts, with a concentration in furniture design and construction. His woodwork is distinguished by timeless design, seamless joinery, and fine finishes. Roger Combs is passionate about his craft. 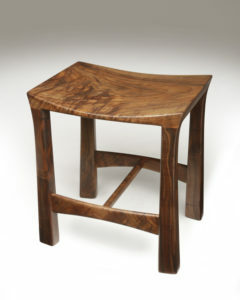 His love and respect of wood is evident in his attention to detail, and in his excellent hand-rubbed oil finishes. The beauty and sophistication of Roger’s furniture is enhanced by his use of natural materials that will always be in style. His sculptural, functional work is designed to be enjoyed for years to come.